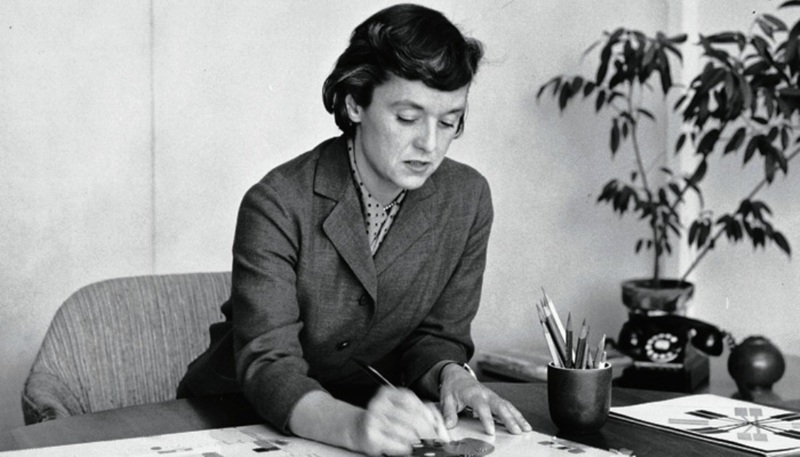 Florence Knoll Bassett, the midcentury designer whose influential furniture came to define the modernist, open-offices commonly found today, has died at 101, according to Knoll Inc. Born on May 24, 1917, Knoll began her career training with Modernist legends Ludwig Mies van der Rohe and Eliel Saarinen, father of Eero Saarinen, before later working with Bauhaus architects (and founder) Walter Gropius and Marcel Breuer. 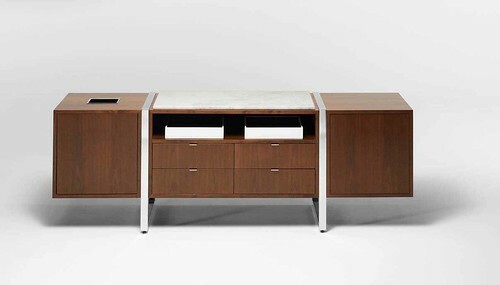 The modernist ethos of sleek lines and minimal forms translated into iconic furniture that became commonplace throughout American postwar offices, and later homes, as Knoll the company became the official retailer of furniture from van der Rohe and other well-known modernist designers. AN will follow this announcement with a full obituary. Jeffrey Osborne and I were friends for more than three decades. So when I learned that he had died (on March 24th at age 72), the memories came rushing back, but in such a jumble that it’s still hard to untangle them. And there’s a lot to remember. I first met Jeff around 1979, when I worked at Interiors—my first job at a design magazine. He was then the Vice President of Design at Knoll, and he seemed to know everyone. During the ten years (1976-1986) that he held that job, he worked with a who’s who of contemporary designers and architects, on a series of forward-thinking, high-profile projects: Niels Diffrient’s Diffrient Chair; Joe D’Urso’s classic sectional sofa, table on wheels, and wire-glass coffee table; and furniture by Richard Meier and Robert Venturi, to name a few. Jeff would freely discuss the process of these projects, and had an encyclopedic knowledge of the designers he worked with. His generous sharing of information, insights, and opinions (pro and con) was a big influence on my development as a design journalist, having entered the field armed with just a B.A. in art history and a few months’ experience at the Institute for Architecture and Urban Studies, where I worked on the launch of its monthly newspaper, Skyline. Jeff was also a generous host and connector of people. You’d see him at WESTWEEK in Los Angeles, NeoCon in Chicago, Designer’s Saturday in New York, or the Milan furniture fair, as well as at the Aspen design conference, where he was executive director for a time after leaving Knoll, and he would organize dinners in all these places, always at the newest or most storied restaurants (of which Jeff kept running lists in his Letts social calendar diaries). One I remember vividly—although not for the actual meal—was at The Musso & Frank Grill in Los Angeles, when Jeff, oblivious to a sign in the parking lot that read, “DO NOT BACK UP: SEVERE TIRE DAMAGE” did just that, and punctured the tires on his expensive rental car. (Completely out of character for Jeff, it provided me with more than one birthday toast.) At these dinners, you’d meet creative people of all types and ages—famous, just starting out, whatever. If Jeff liked you, you were invited along for the ride. Jeff was also a generous guest; instead of showing up with a bottle of wine or a bunch of flowers, he would appear with a case of wine or an armload of flowers. 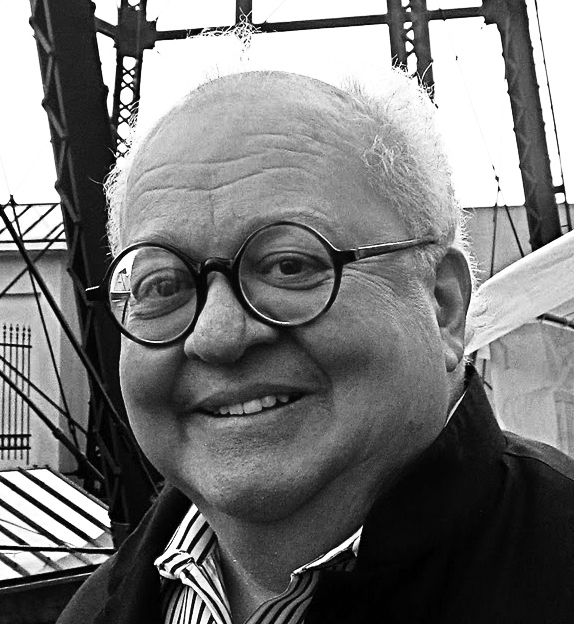 He was a founding board member—and an enthusiastic supporter—of Publicolor, the New York non-profit established by his friend Ruth Lande Shuman. Whenever we met, Jeff would invariably tell me what his other friends—of whom he was inordinately proud—were up to. A succession of New York apartments overflowed with visitors: someone sleeping on his sofa; a group of people for cocktails or dinner (or both); a mob of friends for his annual Academy Awards party. (Jeff, a meticulous moviegoer and odds-maker, would usually win the Oscar pool.) Entertaining at home was honed to a strict and efficient ritual: the cocktail snacks, for example, consisted of olives, cheese, crackers, and the pistachios that Jeff bought in bulk from Bazzini—and only Bazzini. Jeff’s aesthetic preferences were clearly defined. He wore custom-made bow ties, and preferred unconstructed (albeit perfectly tailored) jackets and charcoal flannel trousers to suits. But he wasn’t a fashion snob; for several summers, his preferred footwear was a canvas moccasin from Crocs. In addition to the consulting that he did, post-Knoll, for manufacturers (like Unifor) and designers (like Jeffrey Bernett), Jeff designed interiors, which followed a similarly strict set of rules. His paint colors were Benjamin Moore’s Black Iron, a very dark gray, for walls (in semi-gloss), and Collingwood, an off-white, for walls (in eggshell), and ceilings (flat finish). Black Iron is an unexpected but excellent backdrop for art, which Jeff sensibly insisted on hanging low enough that it was easy to see while seated. He thought just as much about how people live in a space as how the space looked, and as far as I can tell, he was never wrong. If you haven’t already guessed, Jeff had informed opinions on everything, and if he thought you were doing or thinking about something the wrong way, he’d say so bluntly—sometimes a little too bluntly. But anyone who knew him knew that Jeff cared as deeply about his friends as he did about design, and his passing is a great loss to both. A memorial service will be held on April 13th at 4 p.m., at the Frank E. Campbell funeral home, 1076 Madison Avenue. In lieu of flowers, donations may be made to publicolor.org. As developer Aby Rosen is set to remake the Mies van der Rohe and Philip Johnson-designed Four Seasons Restaurant space in Manhattan's Seagram Building, ongoing controversy surrounds the conservation of the architecture and design. 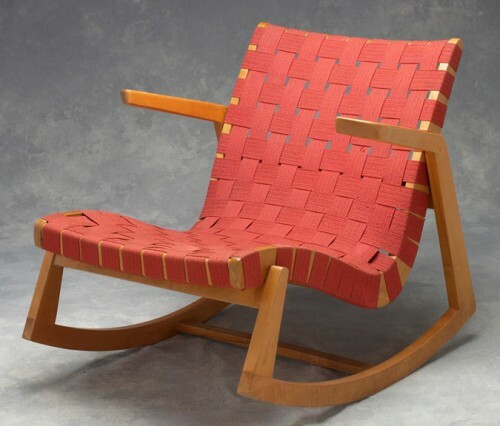 The latest news came last month when auction house Wright announced plans to auction the furniture (designed by Mies and Johnson) at public auction on July 26. In response, Phyllis Lambert, the client and driving force behind the original 1959 building, wrote an open letter to Rosen published here on the Architect's Newspaper. Sources tell AN that Rosen's negotiations to buy the furniture from Four Seasons owners Julian Niccolini and Alex von Bidder fell through earlier this year, prompting the duo to auction them. Rosen now says that he has reordered the same furniture from Knoll. The contract would cost too much to break, Rosen claims. So according to Rosen, the restaurant, which will be run by the folks behind Carbone and Dirty French, will indeed have the Mies and Johnson furniture. 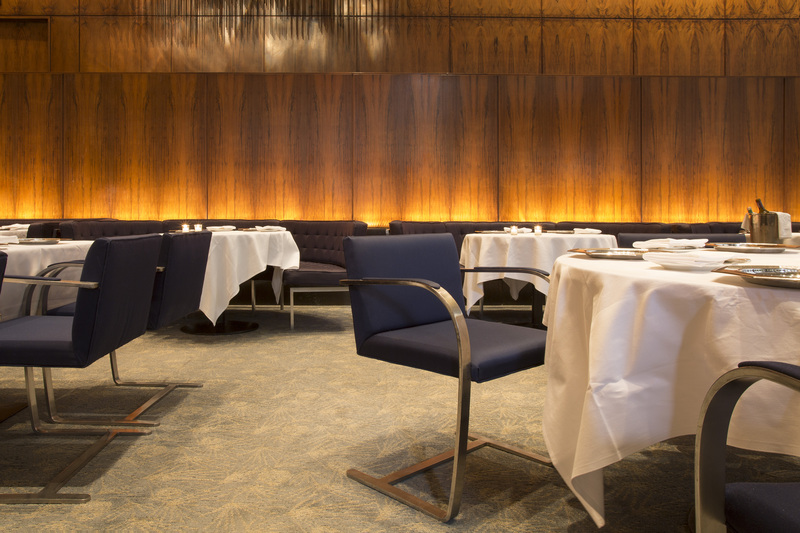 It is a great pity that the furniture made for the Four Seasons under Mies and Philip’s supervision will not continue in place. Details are unclear, but the reorder would be a small victory for preservationists and a sign that maybe Rosen's major blunders ended with the Picasso curtain that was removed in 2014. Knoll Textiles, 1945–2010 Bard Graduate Center Gallery 18 West 86th Street New York Through July 31 A new show at the Bard Graduate Center (BGC) takes a comprehensive look at the history and influence of Knoll Textiles, both as a brand and a company. It also aims to bring to light the importance of textiles in relation to modern design. Curated by a multidisciplinary team (Earl Martin, associate curator at the BGC; Paul Makovsky, editorial director of Metropolis magazine; Angela Völker, Curator Emeritus of Textiles at Vienna’s MAK; and Susan Ward, an independent textile historian) the exhibit features 175 examples of textiles, furniture, and photographs that explore the innovations, from production of materials to marketing, during the 1940s through the 1960s. NeoCon may not have the hipster cachet of ICFF or the design world glamour of Milan's Salone, but every year I come away from Chicago's Merchandise Mart having seen a lot of great products, and am reminded of the vast size, scope, and importance of the show. And as the way we work and the way we live become increasingly inseparable, design trends in the contract and residential markets are becoming similarly intertwined. Further, many Midcentury classics, now popular in the residential market, were first developed for the contract market. In addition to the great products we featured in our preview, here are a few more standouts from the show. Antenna Workspaces, Knoll The big news from Knoll was the Antenna Workspaces (above) collection by Antenna Design. 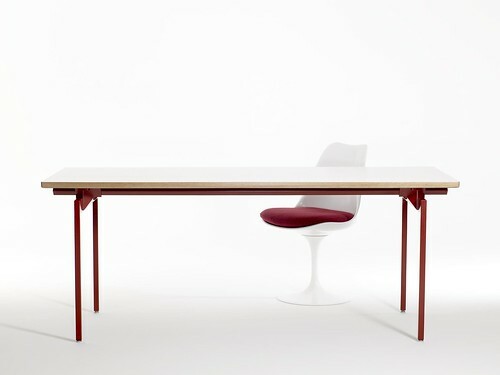 The desk system is built around a table base with clean lines. A variety of box storage, drawer units, and panels can be attached to the center rail. 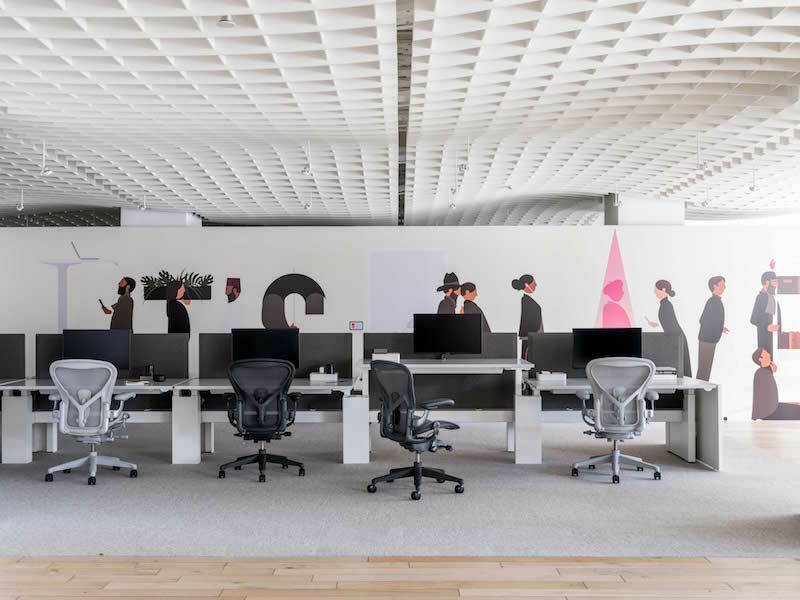 The system looks particularly good when used with Knoll archival surfaces, such as the natural rattan and grass fabrics used in the NeoCon showroom. CH Bench, Itoki Design Designed by Jeff Miller, the CH Bench can be assembled in an infinite number of configurations. 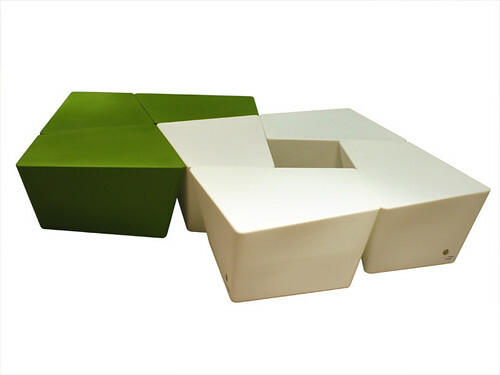 Available in black, white, yellow, green, and gray, the one piece LLDPE bench can be used alone or in groups. Highline Cradenza, Datesweiser Part of a new collection of credenzas and conference tables, this piece has strong architectural lines with stainless steel legs. The cradenzas are vailable in a variety of wood, corian, glass, and marble finishes and door, drawer, and tray configurations. Levy, Bernhardt Design The Levy chair, named for designer Arik Levy, has a slim, minimal profile that puts its design a notch above the average stackable. 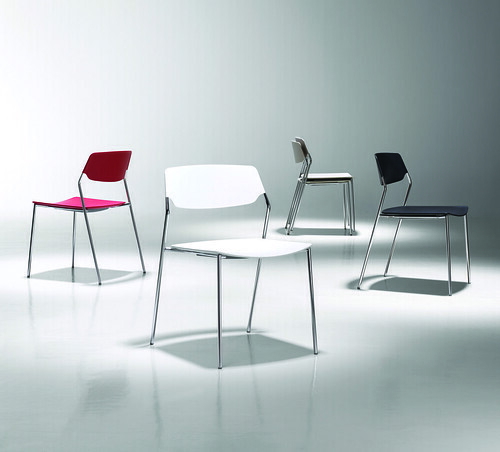 The chairs also meet Greenguard air quality standards. 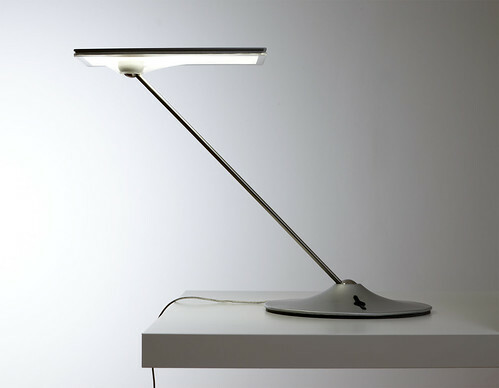 Horizon, Humanscale This slim, dimmable LED task lamp creates an large plane of even, warm light. Simple ball joints at the base and lamp allow for easy movement. 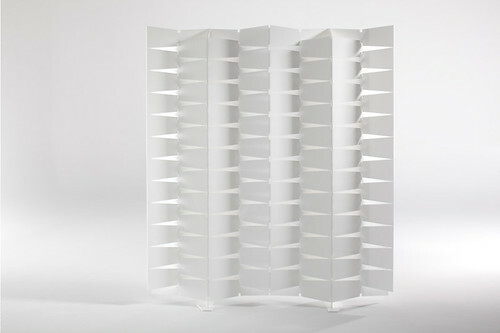 Adamick Screen, Haworth This acrylic space divider is easily assembled from flatpacked units. Designed by Chris Adamick, the screen is available in white, organge, cranberry, and gray. We'll see you in Chicago at the show—while you're there, remember to pick up a copy of our latest Midwest edition, hot off the press! Until then, we offer you a sneak peek of our favorite finds from this year's contract furnishings market: Bram Boo Bench, VanerumStelter Belgian designer Bram Boo’s bench fosters socialization, rest, and work all in one piece of furniture. Four seats arranged in a square create four desktops and multiple ways to face others. 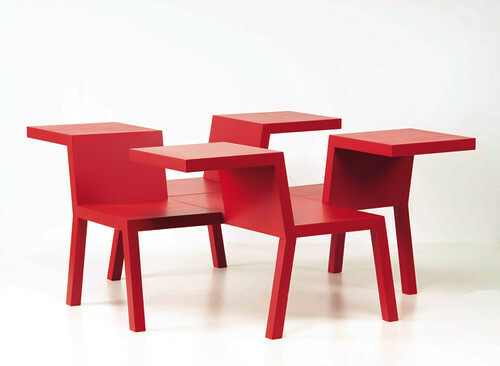 The bench is available in red and black. Dama Coffee Table, CR&S Poliform The Dama Coffee Table by CR&S adapts to a range of room configurations and styles. The seamless, solid-wood table is approximately 13 by 18 inches and is available in canaletto walnut and cedarwood finishes. Seek, Allsteel Allsteel’s Seek lightweight chair has three storage configurations, allowing it to be stacked and nested without racks or trolleys. Available in eight colors with optional arms and a cushioned seat, a flexing back and ergonomic design make it a more comfortable folding chair, and a healthier one, too. Seek is expected to qualify for SCS Indoor Advantage Gold certification for air quality. 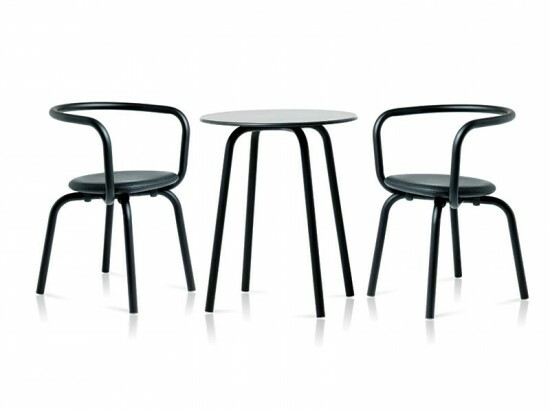 Lyra Collection, KI The Lyra collection from KI aims to fill a gap between formal and informal furniture. Bases are available in wood or steel, along with several upholstery combinations, allowing the lounge chairs, loveseats, and tables to adapt to modern or traditional environments. Curio Table, Bernhardt Design Designed by Claudia and Harry Washington for Bernhardt Design, the Curio table is available in bright or muted lacquered colors, but also in a range of natural wood finishes for a more reserved look. The beveled top is available in 19-, 22-, and 42-inch diameters and is sturdy enough to accommodate a glass or Corian surface for high-traffic areas. Urban Metallics, Carnegie The Urban Metallics collection is Carnegie’s newest addition to its Surface IQ wall-covering line of PVC-free surfaces that use only water-based inks and coatings, but still have high abrasion resistance and tolerance for bleach-based cleaners. The line includes a variety of metallic patterns and scales (Midas is pictured), each of which are Cradle to Cradle Silver certified. Frost, Chilewich Contract Frost is an industrially-derived surface available in three shimmering shades, Black, Topaz, and Mineral, with a transparent fiber coating that changes the surface’s appearance depending on lighting direction. With the appropriate backing material, Frost can be used in a variety of ways including as wall-to-wall and tile flooring, floor mats, wall covering, and upholstery fabric. Rodarte Textiles, Knoll Luxe Knoll’s luxury fabric division collaborated with fashion house Rodarte to create five upholstery and three drapery patterns named after poets and inspired by the fashion house’s runway collections. Auden (pictured) is an ombre pattern printed digitally on woven raffia and is available in four colorways. Vein Cut Onyx, Stone Source Vein Cut Onyx from Stone Source is available in white or green, each with natural vein patterns and translucency. The 2-centimeter-thick slabs can be used for interior walls and counters, but are not recommended for kitchen countertops. Enea Lottus Table, Coalesse Designed by Barcelona-based design trio Lievore Altherr Molina for Enea of Spain, Lottus tables are available in the full range of Coalesse veneer and laminate colors, with four complementary colors for the painted metal base. Four heights and diameters from 30 to 72 inches allow the table to fit a range of spaces and match several seating options, including Lottus chairs and stools. Sava, Stylex Sava Cvek’s new design for Stylex is a multitask chair that combines engineering and aesthetics to create a versatile design. The chair is available with task or conference arms with a high or mid-back design with mesh or upholstered finishes and low-profile paddles to control height, tension, seat depth, and tilt. DR Desk, Jofco Claudio Bellini’s DR desk design for Italian manufacturer Frezza combines a simple table with a carefully designed desk and storage element. The desk’s legs are carved entirely from solid walnut wood, creating a striking contrast to optional glasswork surfaces and painted drawers. Flow Bench, Arktura Designed by LA-based Chris Kabatsi, the Flow Bench from Arktura is formed from eco-composite materials that are suitable for residential and commercial interiors. Available in orange, black, and white, the bench is 72 inches long, and next year will be joined by Kabatsi’s similarly fluid Squall coffee table. FCB Series, Sedia Systems Herzog and de Meuron designed Sedia Systems’ FCB Series of stadium seats as a flexible option for arenas, auditoriums, and classrooms. The line includes fixed shell or gravity uplift seats and four upholstered VIP seats, with optional flip-up desk system and a slender profile designed to maximize aisle space.